The Societies of Photographers offer a range of photographic courses from Location Seminars at some of the most creative and inspiring venues across the country, hands-on workshops which inspire and educate you, to in-depth business classes to help you build your business. Our flagship event being the annual London-based international Convention. 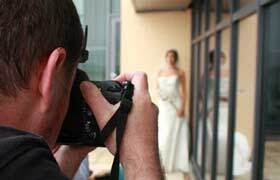 Catering for all areas of skills, whether you are a newcomer to the photographic profession or a seasoned pro. Our team of over 100 renowned lectures, many of whom regularly lecture on the world circuit, are all keen and eager to share their breadth of knowledge with you. The Convention is supported with a comprehensive 3 day Trade Show, featuring the main players in the photographic industry. To give photographers a taster of the Convention experience, The Societies of Photographers run a series of Roadshows throughout the year. These days are free of charge and everybody is welcome to come along and enjoy the Trade Show and presentations given by our esteemed educators. See our website for full details.